An extensive expedition that brings to life a country with great diversity in almost everything from landscapes to cultures and wildlife. Day 1-21: Private African Sky Guide and Vehicle. 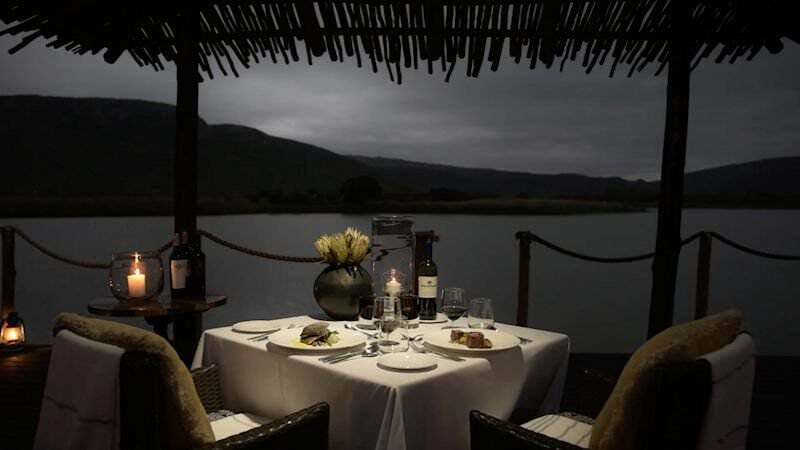 Guests are met and welcomed at a location of their choice in Johannesburg or Pretoria by their private African Sky guide. From there your tour departs the city and travels in a northerly direction, following the national highway to Polokwane. En-route to our overnight destination we pass Moria, the center for the Zion Christian Church, where each Easter millions of followers congregate for the largest annual religious ceremony in South Africa. Later a visit is made to the Modjadji Cycad Forest. Once the main diet of the prehistoric mammal-like reptiles that lived in the area, the Modjadji cycad (Encephalartos transvenosus) forms a unique natural forest which can be viewed in its prehistoric state thanks to its strict protection by succeeding generations of Modjadji ('rain queens'), the hereditary rulers in the area. We then travel to our overnight destination in the scenic Magoebaskloof, known by the locals as a "The land of Silver Mist", an area of high rainfall and spectacular mountain scenery. The late afternoon is spent relaxing in these beautiful natural surroundings. After a last breakfast in the Limpopo Highlands, the tour travels to the town of Tzaneen. This town is located in one of South Africa's most fertile agricultural areas with tomatoes, mangoes, bananas, and avocados the primary crops produced in the region. From here we make our way to the northern part of the central Kruger National Park. A Kruger safari will typically include two game drives on daily basis; one in the crisp throes of the early morning and one during the dramatic afterburn of sunset. Whilst on a guided tour with African Sky, guests will enjoy the flexibility of deciding when to embark on a safari at their leisure. The Kruger National Park is South Africa’s premier conservation area, providing a wealth of game viewing opportunities to excite both the Big Five buff and the avid birder. 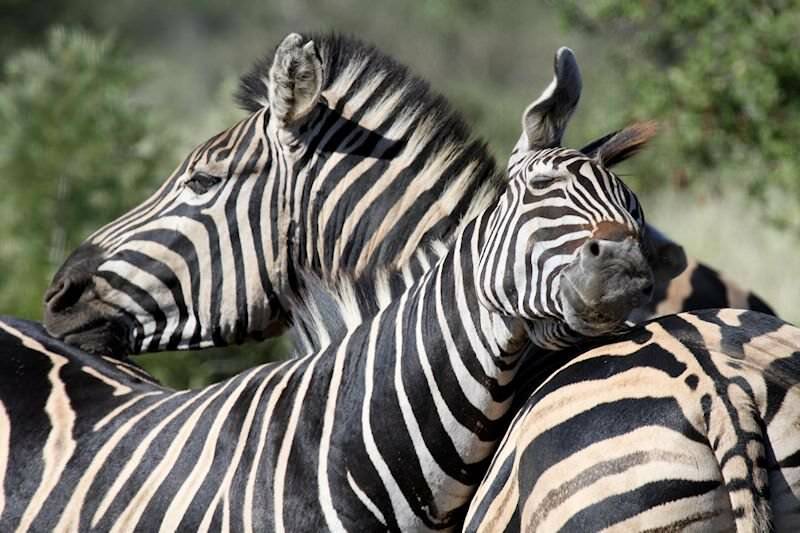 The day is devoted to two interpretive game drives in the company of your experienced guide. Kruger offers one of the greatest diversities in fauna and flora to be found anywhere in the world. It is home to 336 tree species, 49 fish, 34 amphibians, 114 reptiles, 507 birds and 147 mammals. Your guide's intimate knowledge of the area and their insight into the habitat preferences of the different species will ensure that your sightings are maximized. 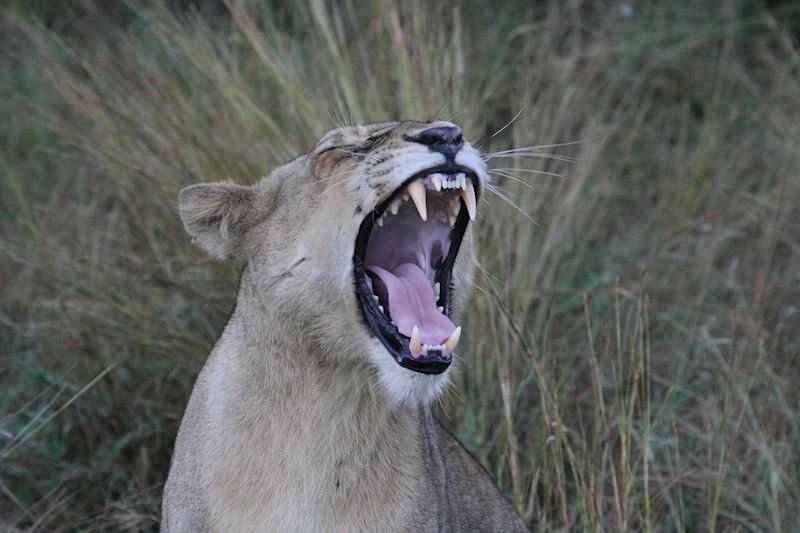 Early morning and late afternoon game drive in the company of your experienced guide will fill a day of wonder as the rhythms of the wilderness and the laws that govern life in this unique ecosystem become more apparent. The legendary 'Big Five', regarded as the most majestic and awe-inspiring mammals to be found anywhere in the world, are sure to be amongst the day's highlights. In addition to the lion, elephant, rhinoceros, buffalo, and leopard, the reserve is blessed with a rich diversity of antelope and other mammal species. The day will be completed with a night drive accompanied by one of the professional game rangers. Night drives become the highlight of the South African tour, offering glimpses of nocturnal animals often not seen during the day. The Mpumalanga Panorama Route is the focus of the day. Here visits are made to the Blyde River Gorge, dominated by the triplet peaks of the Three Rondavels and Bourke's Luck, where the unique geological features of the potholes are admired. God's Window is then reached, a cleft in the edge of the escarpment from where magnificent views of the Lowveld can be enjoyed. God's Window is situated in a patch of indigenous forest, where many flowering and aromatic plants flourish. A visit is also made to the historic mining village of Pilgrim's Rest. It is one of the most perfect examples of a mining town born during the excitement of an alluvial gold rush. Gold was discovered here in 1873 and the town was declared a national monument in 1986. 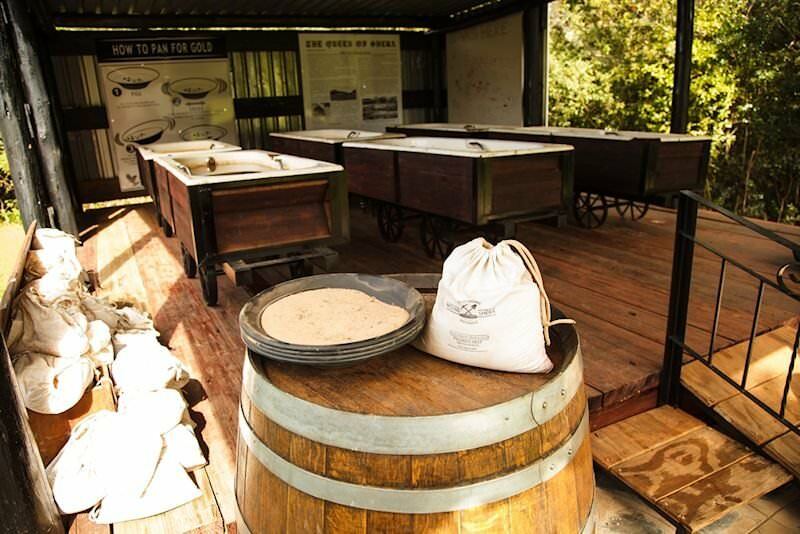 Guests will receive a gold digging and panning demonstration before traveling to the overnight destination. After breakfast, the tour traverses the towns of Nelspruit, Barberton, Carolina, Ermelo, Piet Retief and Pongola en route to the overnight destination. You will devote some time to exploring Barberton. Barberton was a boom town during the gold rush of the late 19th century. It was also home to the famous writer Sir Percy Fitzpatrick whose epic tale, "Jock of the Bushveld", has received international acclaim. A statue was erected in honor of this famous dog in front of the town hall. Splendid scenery, ranging from savanna grassland to forested hills and banana plantations, brings the diversity of South Africa to life as the road meanders south to Maputaland in northern KwaZulu-Natal. Breakfast and a drive to St Lucia are followed by a boat cruise on this coastal lagoon which has been declared a World Heritage Site. The cruise offers the opportunity to observe the many hippo and crocodile which inhabit Lake St Lucia. The area is also a bird watcher's paradise, with between 350 and 400 different species occurring in the area. The lake originated when a number of rivers combined their water to form a vast estuary system, roughly in the shape of the letter H and with an average depth of only one meter. 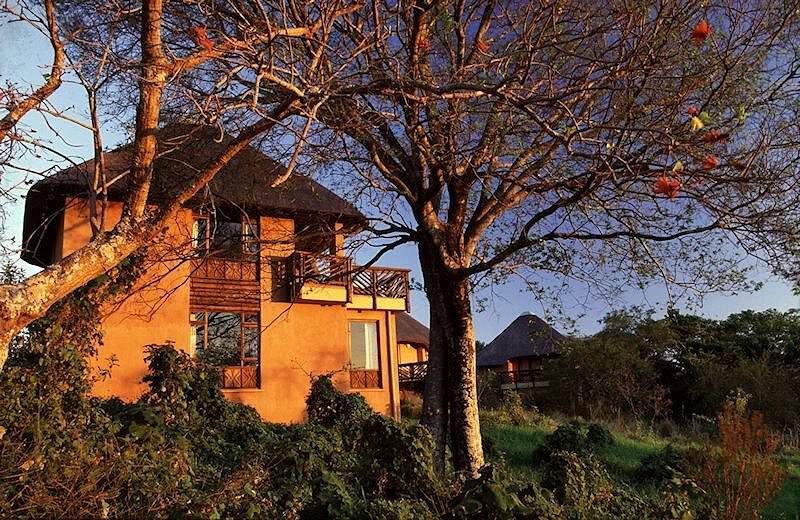 Following the visit to St Lucia, you travel inland to the Hluhluwe-iMfolozi Game Reserve. The game reserve was proclaimed in 1895 and its varied landscape, ranging from densely forested lowlands to open hill summits, provides a sanctuary for considerable diversity of flora and fauna. 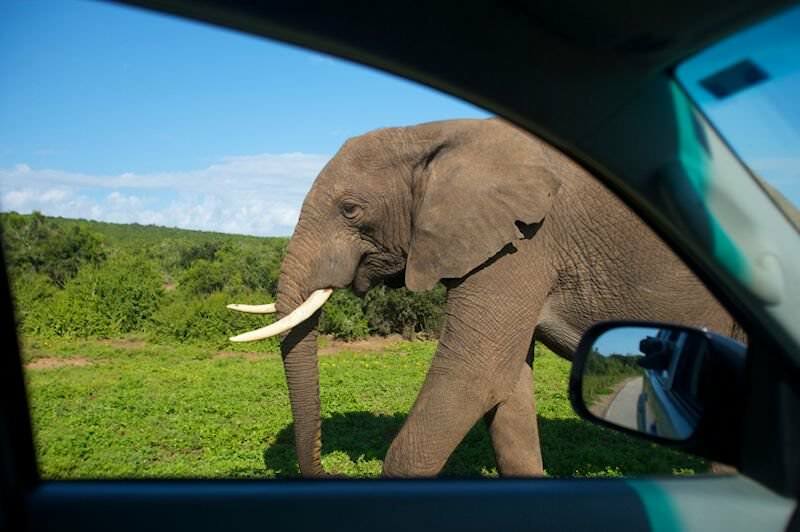 An afternoon game drive is conducted in the Hluhluwe-iMfolozi Game Reserve. The day is devoted to game drives in Hluhluwe iMfolozi. The different ecological areas, ranging from riverine brush to open savanna, support an abundance of wildlife, most notably the black and white rhino. 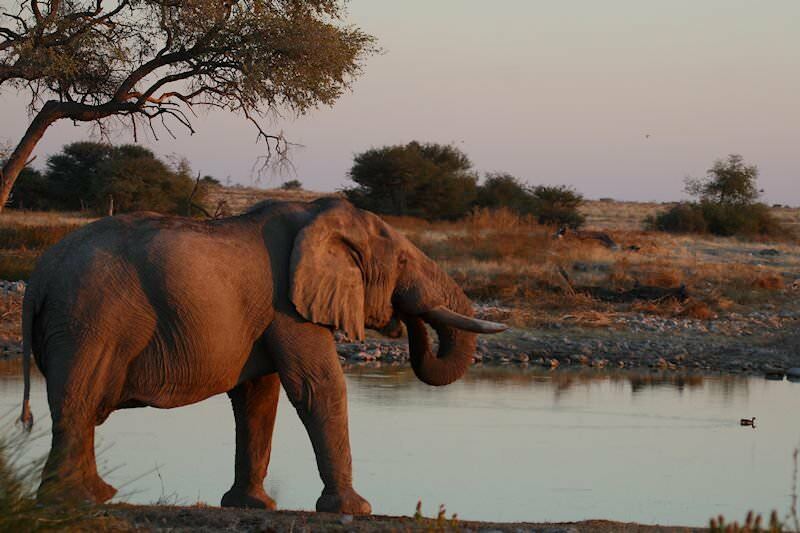 This game reserve played an instrumental role in protecting both of these species from extinction. The current population of white rhino in South Africa has largely been re-stocked from this area. The white rhino is much larger than the black. It is a grazer, as opposed to the black rhino, which is a browser. Sightings of other large game, most notably the other members of the Big Five, are sure to make this day spent on safari in Zululand a day to be remembered. Breakfast is followed by a drive to Durban from where we fly to Port Elizabeth. From Port Elizabeth, we travel to the Addo Elephant National Park. Addo Elephant National Park is situated 72km by road from Port Elizabeth. Established in 1931 to save 11 elephants on the brink of extinction, it is now home to more than 350 of them, along with 280 Cape buffalo, black rhino, a range of antelope species, and the rare flightless dung beetle. 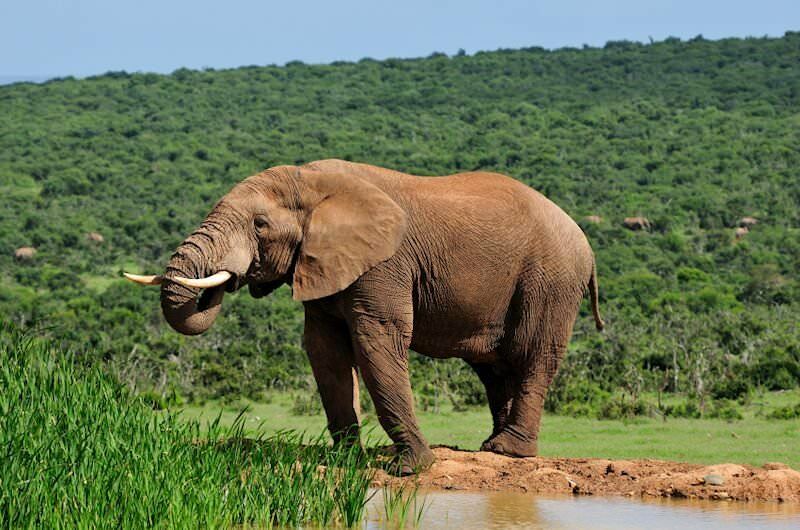 Addo Elephant National Park is a perfect destination for the adventurous outdoorsman and nature lover. 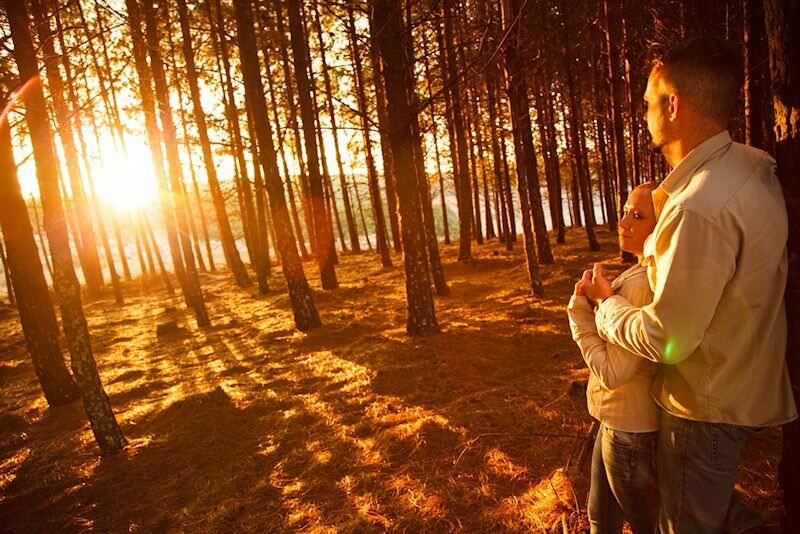 We reach the park during the late afternoon to enjoy the sunset over the Zuurberg Bushveld. Early morning and late afternoon game drive in this unique area is the focus of the day. From the graceful elephant, who embodies Africa in its own mysterious way, to the rare black rhino - much smaller than the white but reputed for its unpredictable temperament. The big cats and a large number of different plains game species that once again roam free in their ancestral grazing grounds afford a glimpse of Africa in all her glory. The focus is on interpretive game viewing, with the guide enhancing the understanding of the animals through their knowledge of the habits and behavior of the different species. 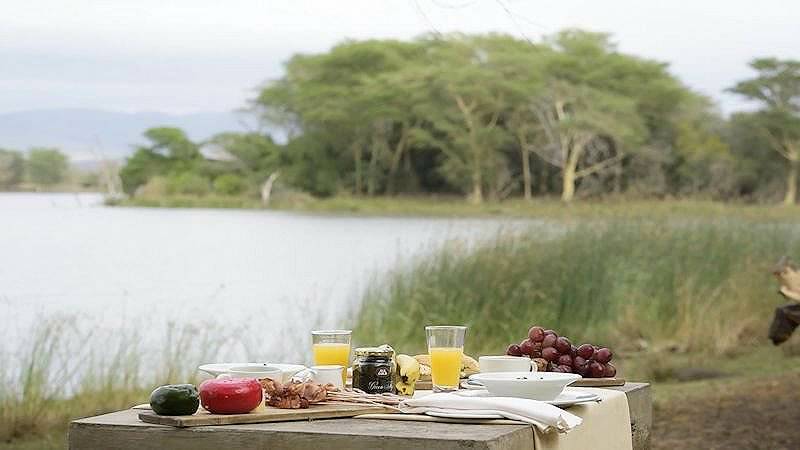 A last morning game drive is followed by breakfast after which we travel south to Knysna, the jewel of the Garden Route. We pass through the Tsitsikamma National Park and make a quick stop at Storms River Mouth, where we take a short walk to the famous Big Tree, a Yellowwood giant standing 36.6 meters high and estimated to be +/- 800 years old. The scenic route then makes it's way south en route to Natures Valley, which is reached after descending the Grootrivier Pass into the valley below. This river also marks the western boundary of the Tsitsikamma Nature Reserve. Knysna is reached during the mid-afternoon. 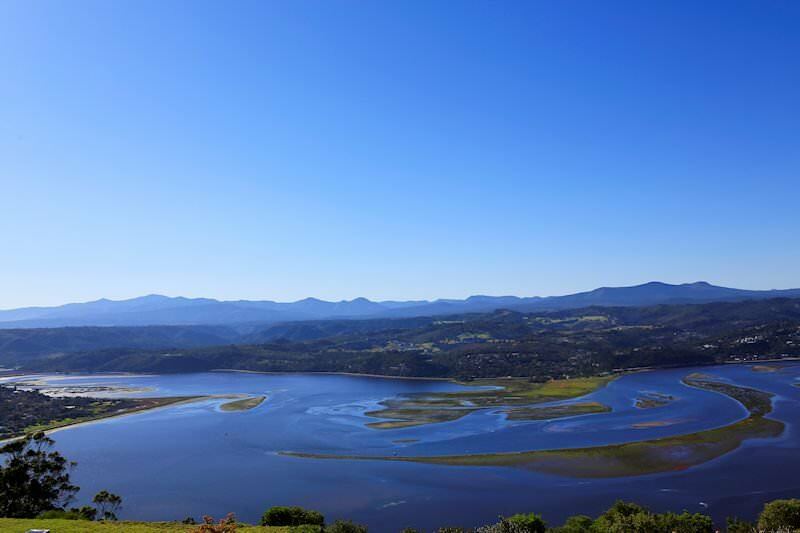 Knysna is primarily built on the northern shore of a large warm water estuary fed by the Knysna River. The estuary opens to the ocean after passing between "The Heads", and has become infamous due to the loss of boats and fishermen passing through their treacherous and unpredictable waters. During the morning, you will board a ferry crossing the lagoon to the Featherbed Nature Reserve. The Featherbed Nature Reserve is a prime example of eco-tourism and, in order to protect the splendor of natural beauty, visitor numbers are limited. During the afternoon the Knysna Elephant Sanctuary will offer guests a closer look at the African elephant by providing the opportunity to touch and feed these gentle giants. After an early breakfast guests will travel to George and turn off to the town of Oudtshoorn by crossing the Outeniqua Mountains. The Outeniqua mountain range is characterized by gentle southern slopes and steep drops on the north side down to the low valley of the Little Karoo. Oudtshoorn is a large and modern town that relies mostly on farming and the ever-present ostrich industry. Guests will visit a local ostrich farm and, during their visit, will learn more about the world's largest bird. After an opportunity to take part in an ostrich ride race, you make your way to the Cango Caves. The extensive cave system of tunnels and chambers go on for over 4km of which only about a quarter is open to visitors. The cave exploration is followed by a visit to the Cango Wildlife Ranch. The ranch is one of the leading cheetah breeders in South Africa and guests are permitted to enter a fenced area to interact with a tame cheetah. Route 62 passes the towns of Calitzdorp, Ladismith, Barrydale, Ashton, and Robertson before reaching Franschhoek. A few kilometers from Robertson, we turn off on a dirt road and make our way to the Sheilam Cactus Gardens, also known as Little Mexico. It is home to about 3000 of the strangest and most interesting exotic cactus plants. After visiting the Cactus Gardens, we visit two of Robertson's most respected wineries. The wine industry in Robertson has grown from less than 25 cellars to more than 50 registered wine cellars as of today. There are a number of wine cellars that have received the highest awards both locally and internationally every year. Robertson wine cellars include Graham Beck, Springfield, Bon Cap, Majors Hill and the Excelsior Estate. The tour then makes its way to Franschhoek. The Cape Dutch architecture in Franschhoek is unspoiled, with restrictions having been placed on the extent of renovations and new construction in order to preserve the spirit of the original settlers to the area. You visit the Huguenot Museum, with its three high arches symbolizing the Holy Trinity - the Father, Son, and Holy Spirit. The French Huguenots brought their knowledge of viticulture with them and, upon receiving land from the Dutch East India Company, many vineyards were established which still produce some of the world's finest wines. 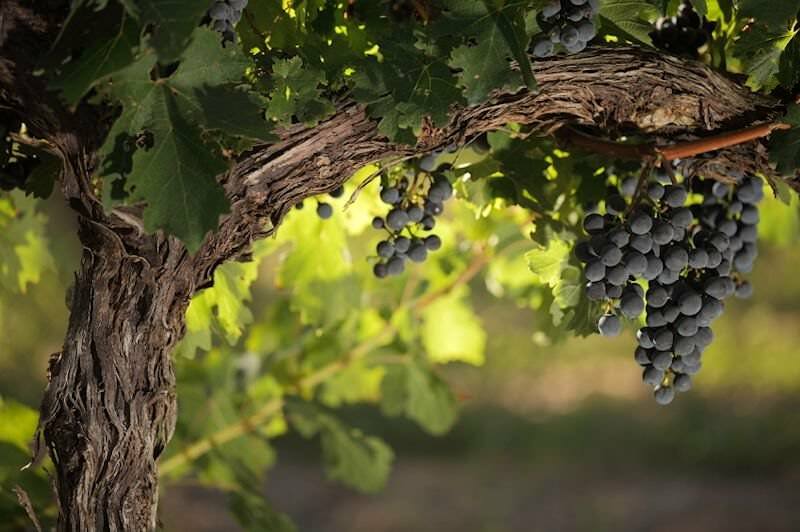 After visiting the museum, you visit three of the finest wine estates in the region. 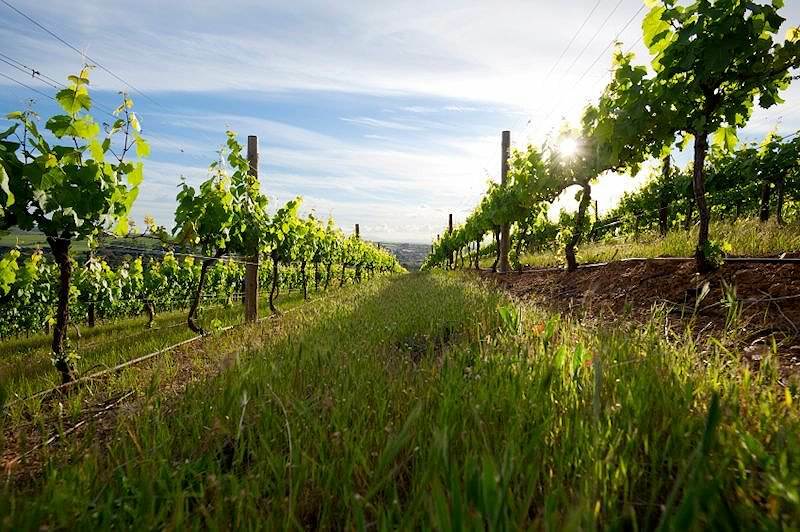 Here guests will enjoy some insight into the production of wine in South Africa and will have the opportunity to sample some of South Africa's finest. Breakfast is followed by a journey via Wellington and a few imposing passes to the South African West Coast. The West Coast is a region with a unique charm and character. The area's population density is much lower than on the east coast, primarily as a result of the low rainfall enjoyed by the area. 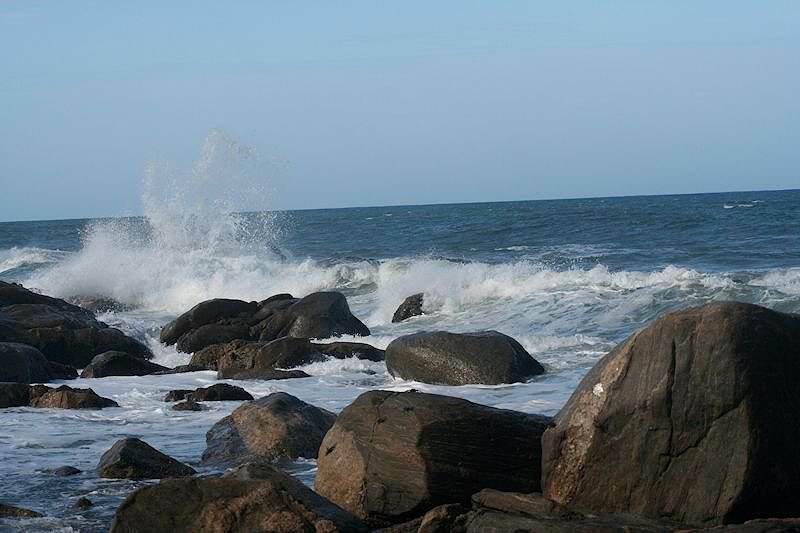 The region is characterized by sparse vegetation and harsh rocky beaches which line the shores of the Atlantic. 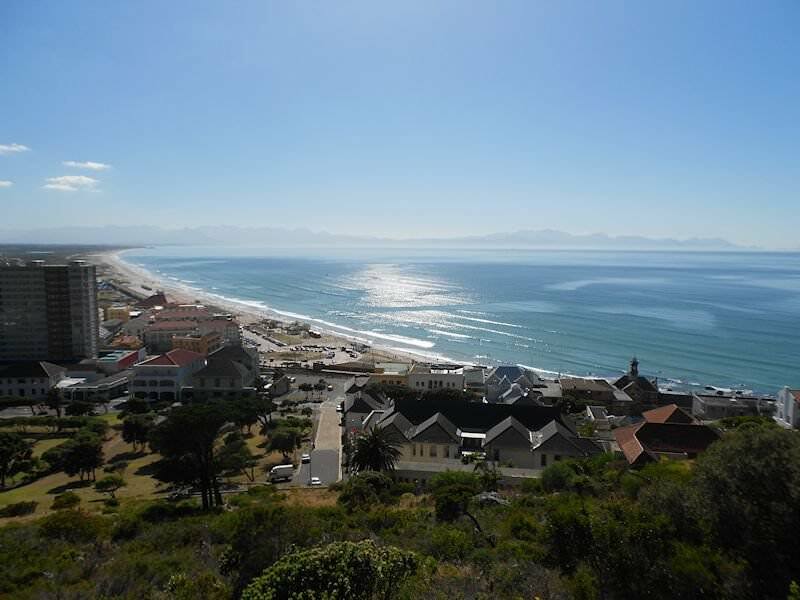 The tour travels north to the town of Langebaan. You will devote the afternoon to visiting the West Coast National Park where a rich diversity of bird species can be observed in great numbers. Over 250 species have been recorded in the area. 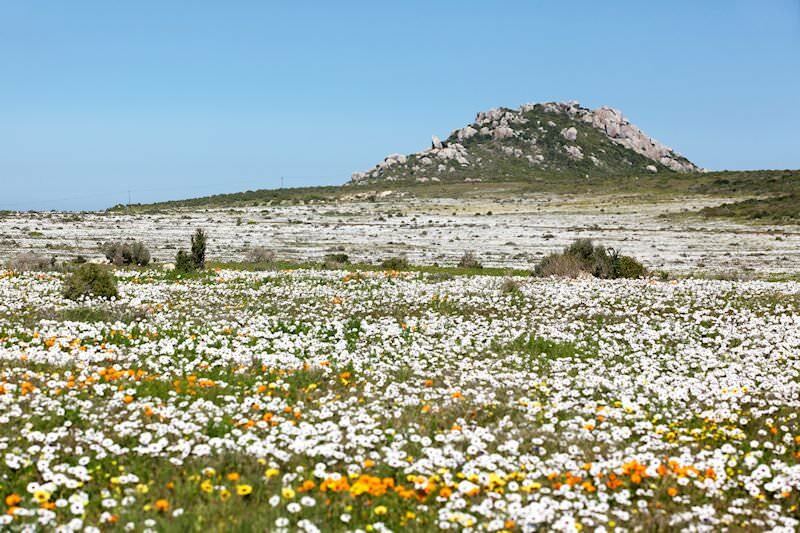 During spring the area is transformed into a flowering tapestry which creates a remarkable display. 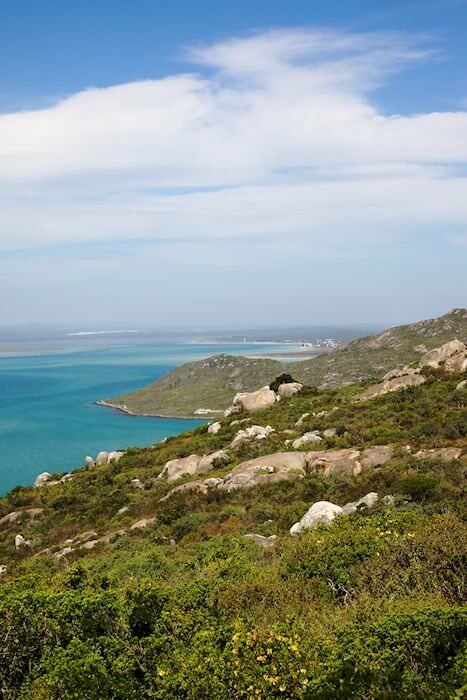 After breakfast, a visit is made to the West Coast Fossil Park near Saldanha Bay, named after the 16th-century Castilian-Portuguese captain António de Saldanha, we’ll visit the West Coast Fossil Park, a National Heritage Site. The park showcases the late Miocene and early Pliocene epoch some 5 million years ago. On the 45-minute guided tour, you’ll see fossils lying exactly as excavated. A remarkable number of species are represented at the site, making the region one of the most diverse Mio-Pliocene occurrences in the world. Finds encompass bears, saber-tooth cats, various wild pigs, aardvarks, an extinct okapi-sized giraffe or sivatheres, hunting hyena and at least three species of elephant including the first mammoths. Approximately 860 sq. feet of the fossil bed is exposed and open for viewing. The tour then makes it's way north as you visit first the coastal village of Paternoster. This part of the coast is rich in rock lobster, perlemoen and other seafood. Three kilometers down the road from Paternoster, you reach a lighthouse called Cape Columbine, named after the shipwreck which occurred here in 1929. The 9 million candle-power lighthouse and radio beacon is a major navigational point for ships approaching the coast of Southern Africa from Europe and America. This stretch of coastline features many isolated coves and a one-kilometer walk will bring guests to Titus Bay. Wildflowers, fresh air, and a rugged seascape make up the beauty of this part of the world. Today you’ll travel south to the South African 'mother city', where you will have the opportunity of experiencing a few of Cape Town’s world-famous attractions under the direction of your experienced African Sky guide. The looming Table Mountain was first summited by António de Saldanha in 1503 when he named it ‘Taboa do Cabo’ or ‘Table of the Cape’. Send a postcard from the upper cable station post office, take a mountaintop walk along one of the established walkways or simply enjoy the fantastic panoramic views across the Cape Peninsula. During the cooler part of the day, enjoy a leisurely stroll through Kirstenbosch Botanical Gardens under Skeleton Gorge. Established in 1913, these gardens attempt to provide a comprehensive display of the region’s indigenous flora and include an impressive Baobab Tree in the new greenhouse. We’ll also visit several of the city’s attractions. On the agenda is the Cape Castle, probably the first permanent structure in South Africa by European settlers and today housing a fine period museum. District Six, named after the sixth municipal district of Cape Town, was established in 1867 and was originally a mixed community of freed slaves, merchants, artisans, laborers and immigrants, and was a vibrant center with close links to the city and port. Later in the day, we’ll visit several other interesting locations in the city including the Bo-Kaap district with its colorful buildings before returning to your overnight accommodations during the late afternoon. Today you’ll enjoy a visit to the region’s most well-known historical attraction and synonymous with the city of Cape Town. The small flat islet of Robben Island situated some 7km off the coast of Bloubergstrand and just a few meters above sea level has been varyingly used since the end of the 17th century to isolate political prisoners as well serving as a leper colony and animal quarantine station. The original Dutch settlers under Jan van Riebeeck first used the island to warn passing ships of the dangerous rocks around the island by building huge bonfires at night. The original colony of African Penguins was eliminated by 1800 but has since been re-established and is today one of the largest breeding colonies of these birds along the African coastline. A short ferry ride, departing from the V&A Waterfront, carries passengers across Table Bay, where on arrival guests will participate in a guided tour of the prison buildings, including a visit to Nelson Mandela’s cell where he was incarcerated for eighteen years. Many well-known individuals were imprisoned here in the Apartheid-era. The duration of the excursion is about four hours, after which guests will return again to Cape Town by ferry. 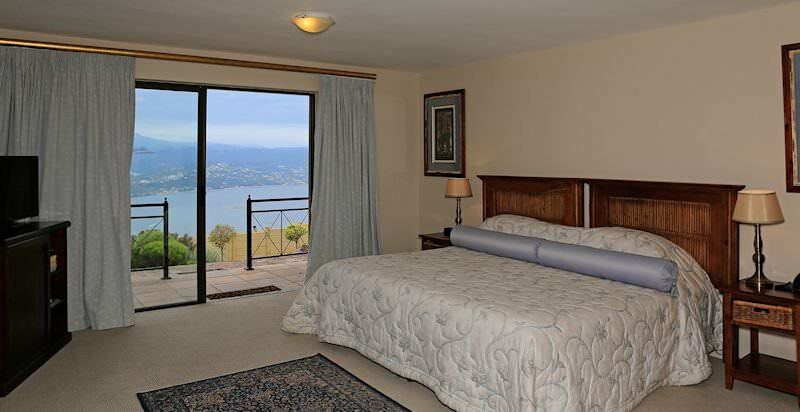 The remainder of your day is available at leisure to explore the Waterfront and surrounds. Breakfast is followed by a drive over the spectacular Chapman's Peak pass, cut into the 650m high Chapman's Peak, leads the tour through the town of Noordhoek to the Cape of Good Hope Nature Reserve. A botanical and scenic delight the reserve is home to several antelope species as well as a great diversity of flowering plants and birds. A highlight is sure to be the walk to the edge of Cape Point, where it is said the stormy waters of the Atlantic are met by the calming influence of the Indian Ocean. This Cape, which has played such a central role in the tales and legends of the ocean, was and remains an important landmark located at the South Western Edge of Africa, it was said that this was where the two halves of the world, east, and west, met. The tour traces the Indian Ocean on the way back to Cape Town stopping at Boulders Beach, an attractive secluded beach, comprising a tumble of huge round rocks on a sandy shore. We then make our way back to Cape Town. The morning will be spent at leisure before guests are transferred to Cape Town International for a flight back to their country of origin after a memorable South African tour. The four star tours offered by African Sky are both affordable and unforgettable. These luxury South African tours enjoy five star accommodation throughout. For unadulterated luxury and travel magic, opt for an exclusive tour of South Africa. 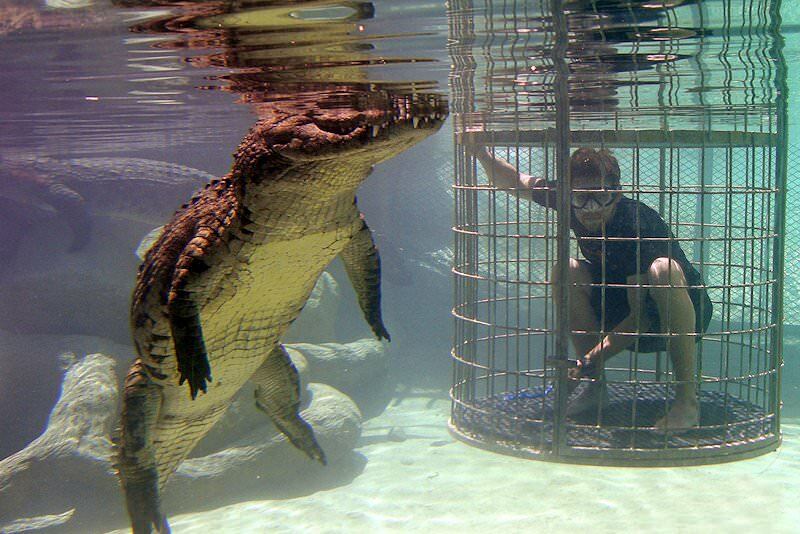 Our day tours are aimed at guests with limited time to explore South Africa. Explore South Africa at your leisure on a thrilling self-drive adventure. Our customized tours are popular amongst discerning travelers. Cape Town is the continent's top tour destination, offering the perfect combination of city excitement and outdoor adventure. The Garden Route is South Africa's coastal Eden, offering spectacular tour activities for families and honeymooners alike. 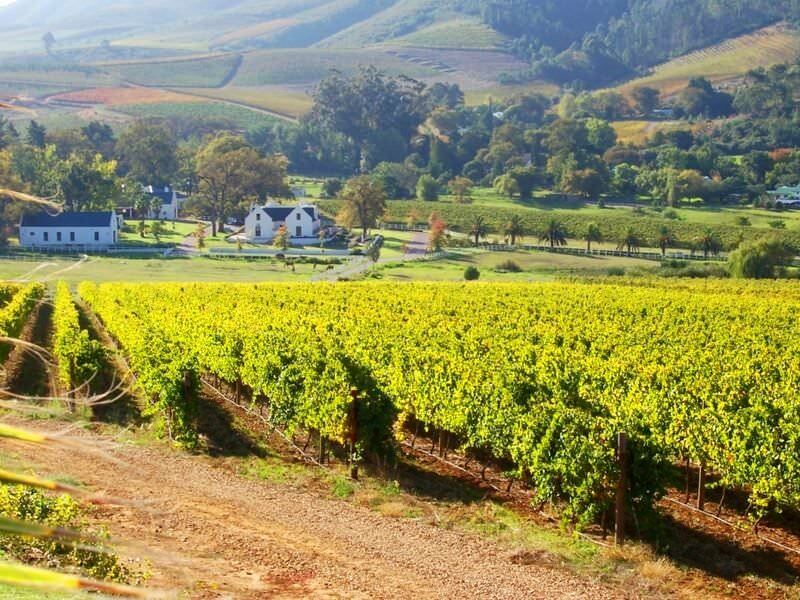 The Cape winelands is a spellbinding tour destination, offering hiking, wine tasting, fine dining, horse riding and leisure. Our golf tours also include lesser known courses in unique locations, from the Kruger Park's Skukuza to the lush Zimbali on the Dolphin Coast.